The Dance and Music Centre offers an extensive schedule of classes for children and teens encompassing a variety of dance styles and levels. Whether the goal is to perform professionally or take lessons just for recreation, We have a program to meet your needs. Personalized attention is given to each student’s placement to help them find the “right fit” - that fun and challenging class they enjoy and will progress in! We encourage students to take free trial classes and experiment with different movement styles. Our extensive schedule offers six days of classes for all ages and levels. You can view them or download for reference. Click here for the 2016-2017 schedule! Find all the information on the Centre's dress code in one convenient place. Link to our official store. Celebrate that special day with a little song and dance. Many themes available for all ages! Learn more about birthday parties at D'Valda & Sirico! For our youngest students’ first steps into the dance world, we offer specialized, developmentally appropriate programs: Mom & Me, Fantasy Ballet, Tiny Tappers and Jr. Hip Hoppers. During each fun filled 15 week session, dance terminology, improvisation and character work are introduced through magical fairy tales and classic children’s stories. Each small group experiences a series of creative activities that are designed to encourage imagination, gross and fine motor skills, rhythm, musicality and spacial awareness. Props, instruments and costumes are often used to enhance the fundamental instruction. They have their own special performance at the conclusion of each session in a more relaxed environment, designed to be a stress free, and a happy experience for the young performer and family. Contact the Dance and Music Centre for a free trial class! Our Ballet classes are built upon excellence established by the Royal Academy of Dancing, an international organization with over 90 years of dedication to quality in Ballet education. The Academy’s syllabus is known worldwide for being particularly sensitive to the training of young children. Ballet classes incorporate classical training, character work and free movement to help students develop confidence and a sense of self expression. Pointe, pas de deux and repertoire are also included in the well rounded syllabus. Our innovative Jazz, Hip Hop and Tap classes are on the cutting edge combining traditional techniques with today’s latest styles. Modern, Lyrical, and Musical Theatre classes are incorporated to give the student the most exciting, versatile, and extensive training available. 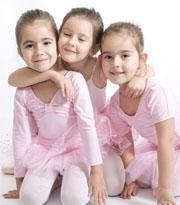 For the intermediate/advanced dancer, age 8 and up, motivated to take their dance training to next level. Dancers will have the opportunity to study with a renowned resident and guest faculty, attend regional and national competitions and participate in special performances. ​It is a challenging and fun program for the focused dancer committed to taking full advantage of this learning opportunity. Participation is by audition only. Visit the Competition/Company Page for more information. 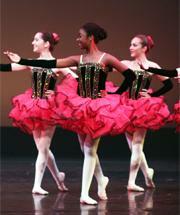 Beginner through advanced dancers can choose from morning, evening and weekend classes. Our adult program meets a variety needs for a variety of students. Depending on an individual’s goals, classes range from an enjoyable recreational experience to a professional creative outlet. Master classes are held throughout the year with some of the most renowned professionals in the field. Check the current schedule for adult classes being offered. Our Competition Teams, Junior Company and Senior Company compete and perform regionally and nationally. Find out more about auditioning for these award winning groups.